· Four player mats, each for holding infrastructure cards, legacy production sites, and a progress wheel for tracking advances in genetics and technology. 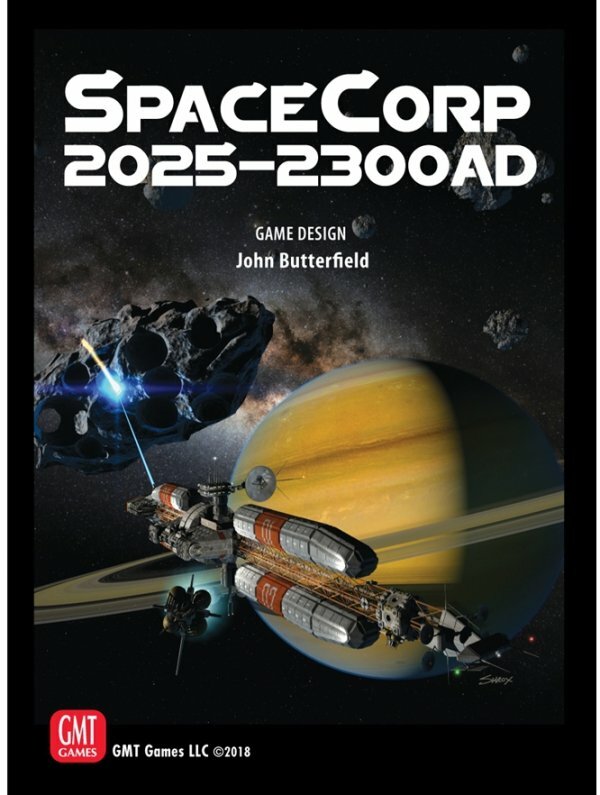 · Four sets of player pieces, each with four exploration team cubes, 27 base discs representing specialized space installations, and various markers. · 61 exploration tiles, drawn and placed on the board to represent discoveries. · Twenty colony tiles, placed to establish interstellar commerce centers. · One contract and profit display for tracking the players’ profits and their achievement of contracts. · 178 action cards, organized into three decks, one for each era. Cards include eight action types – move, build, explore, research, produce, genetics, revelation and special actions, as well as competitive edge cards andtime cards. 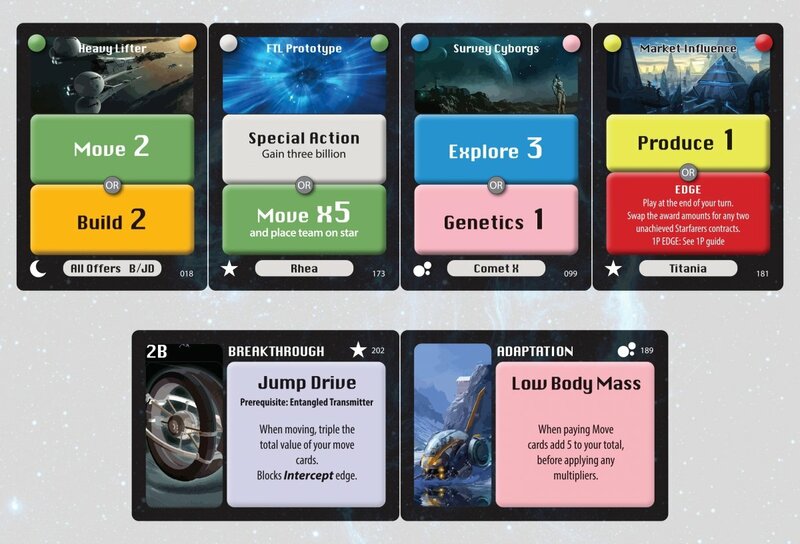 · 32 advancement cards, earned by players as they gain specific genetic adaptations and technology breakthroughs.